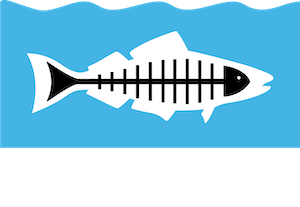 What Is Heal the Bay Doing in South L.A.? What is Heal the Bay doing in South L.A.? We’re building a park! For a little over a year Heal the Bay has been in the development/planning stages of this multi-use park, which will serve as an outdoor classroom, community green space, fitness area, and water quality improvement project in a community that is already underserved and disproportionately lacking park space. Thanks to Kendra Okonkwo and Aleke Watson from Wisdom Academy for Young Scientists (WAYS) elementary school, Steve Cancian from Shared Spaces and of course Refugio Mata from Heal the Bay (now with Sierra Club’s Beyond Coal Campaign) for laying the foundations for the park. Their vision of a space where students could experience and learn about their own environment, promises to make the park a place of growth and a source of health as students relearn the importance of our connection to our surroundings. The showing on October 27 proved that it isn’t just the students who are relearning the importance of this connection — parents are as well. The families around 87th Street and McKinley Avenue came out in small clusters, curious about what all the tents, pumpkins, and signs were doing in a place that’s usually barren and graffitied. Once we told them it was a celebration for a new park, families responded first with surprise, then approval, then lists of all the reasons why they would love to see the lot turned into a usable space. The kids, of course, just wanted to carve pumpkins, get their faces painted, or make masks of their own. Curious parents began asking questions about who Heal the Bay was, and what the park would look like. It took very little questioning or convincing to have them talk about the issues going on in their neighborhood and the different ways this park might help. Abundant lighting, trees, exercise equipment, flowers and plants, and even a fountain were all ideas to come out of the parents themselves, including speed bumps for the adjacent road. Most importantly, it was mentioned that widespread community participation would be necessary for the success of anything planned for the space. This came from a concerned parent who recognized a space is only valued if the community around it cares about it. Ultimately, it was the true measure of success of the festival, and a great prospect for Heal the Bay’s endeavors in South LA. All of the neighborhood families who came to the park that day demonstrated that they are ready and willing, even eager, to participate in building this park, especially for their children. I really look forward to building it with them. Thanks again to everyone who laid the foundation. Please join us at Heal the Bay’s Holiday Festival, Sunday, December 9, 2-4 p.m. at WAYS Park, 87th Street & McKinley Avenue. Read more about how to make a difference in your community, as part of our Healthy Neighborhoods, Healthy Environment initiative.